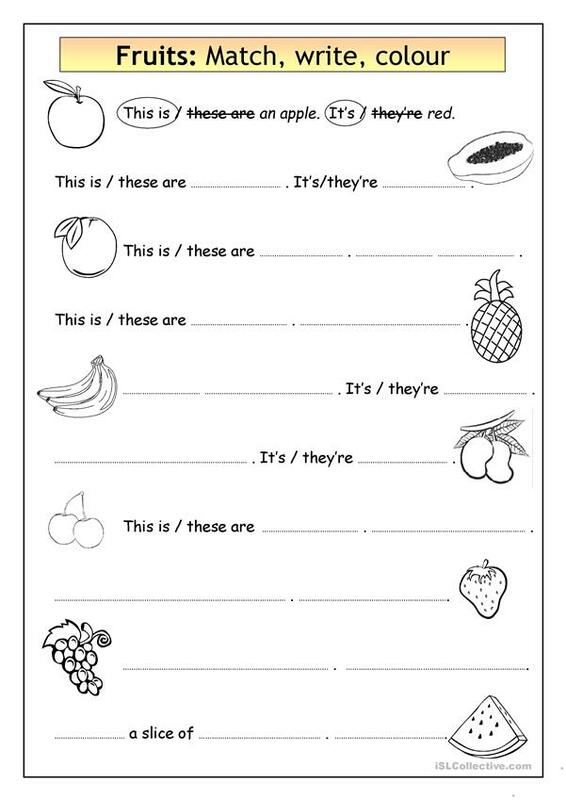 Vocabulary & Writing worksheet that focuses on ´this is´ vs ´these are´ and ´it´s´ vs ´they´re´. Make sure to review the indefinite article a/an and zero article (for plurals). 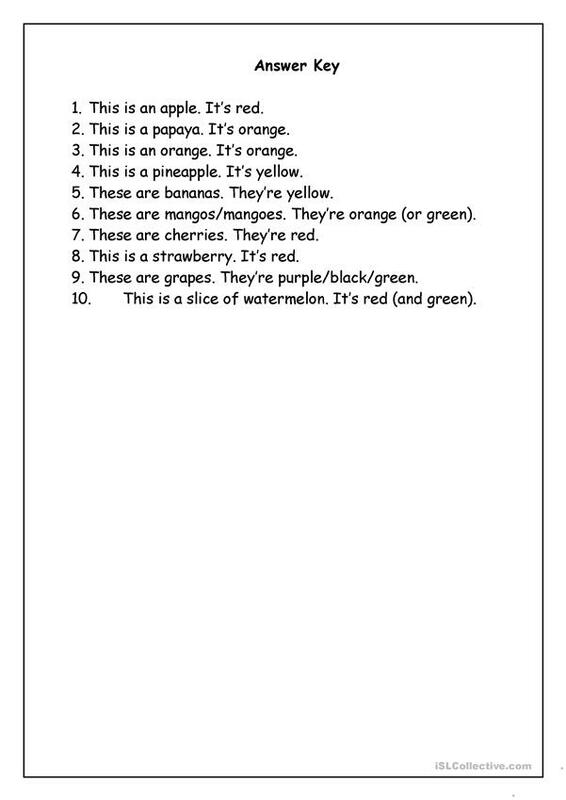 Students will learn to say, read and write the names of 10 fruits (pre-teach if necessary or change fruits if unavailable or unknown where you teach). Guided writing is followed by writing short sentences. Optional extra: choose some more fruits and write extra sentences. Early finishers can colour in the fruits. This printable, downloadable handout was created for high school students, elementary school students and adults at Elementary (A1) and Pre-intermediate (A2) level. It was designed for honing your pupils' Writing skills. It features the topic and words of Colours. You will find the key at the end of the worksheet.